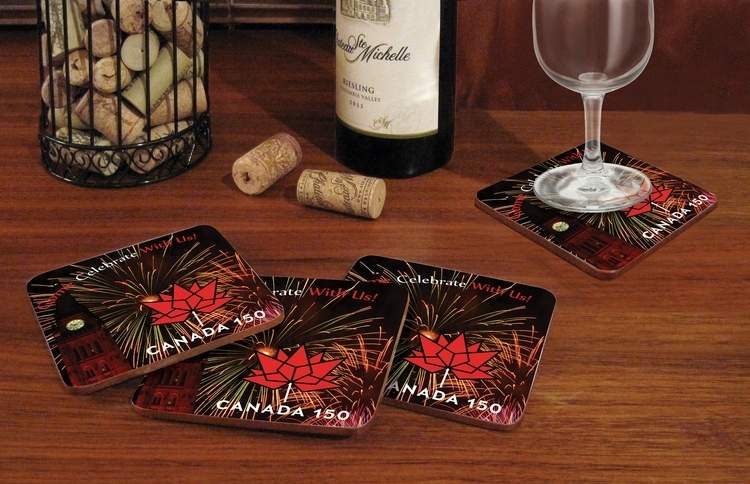 These European style coasters are produced using the finest sustainable raw materials available to ensure that your image maintains its original look for years of carefree use. 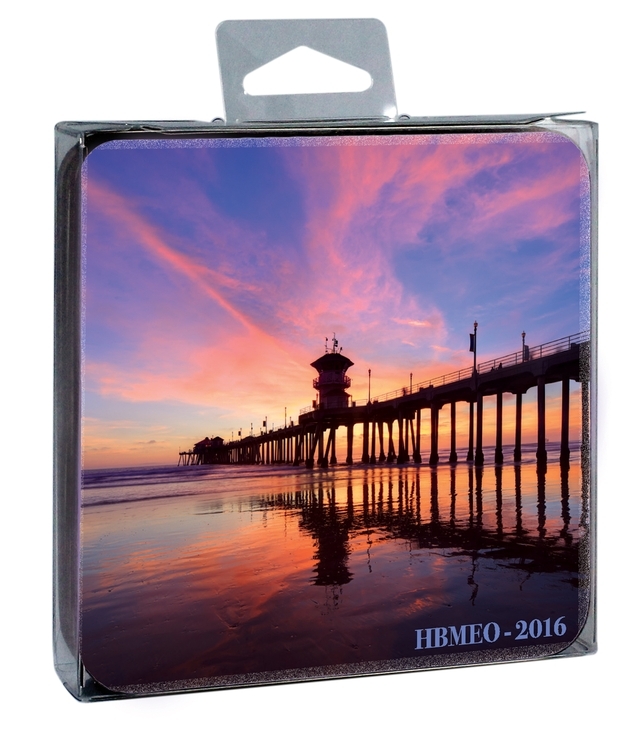 Your image is printed and fused to a rigid, hardboard substrate and finished with a soft cork backing to protect furniture from scratches and spills. They are also stemware friendly and won't scratch fine crystal! 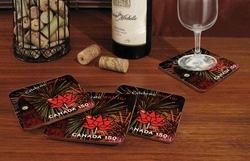 Ideal promotional gift of exceptional style, these coaster sets make elegant corporate gifts or giveaways. Attractively presented in a "full view" acetate box. 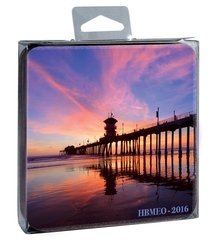 Square with rounded corners - full bleed - 4/color.